The architecture of Liverpool is rooted in the city's development into a major port of the British Empire. It encompasses a variety of architectural styles of the past 300 years, while next to nothing remains of its medieval structures which would have dated back as far as the 13th century. Erected 1716-18, Bluecoat Chambers is supposed to be the oldest surviving building in central Liverpool. There are over 2,500 listed buildings in Liverpool of which 27 are Grade I and 85 Grade II* listed. It has been described by English Heritage as England's finest Victorian city. However, due to neglect, some of Liverpool's finest listed buildings are on English Heritage's Heritage at Risk register. In accordance with Liverpool's role as a trading port, many of its best buildings were erected as headquarters for shipping firms and insurance companies. The wealth thus generated led to the construction of grand civic buildings, designed to allow the local administrators to "run the city with pride". The historical significance and value of Liverpool's architecture and port layout was recognised when, in 2004, UNESCO declared large parts of the city a World Heritage Site. Known as the Liverpool Maritime Mercantile City, the nomination papers stress the city's role in the development of international trade and docking technology, summed up in this way under Selection Criterion iv: "Liverpool is an outstanding example of a world mercantile port city, which represents the early development of global trading and cultural connections throughout the British Empire." Liverpool's origins date back as far as the 11th century, although today nothing remains of the city's medieval architecture. Probably the earliest building of note within Liverpool would have been Liverpool Castle, which was constructed between 1232 and 1235 by William de Ferrers. The oldest surviving building within the city is likely to be Stanlawe Grange in Aigburth, a Monastic grange dating from the 13th century. Frequent modifications throughout its history mean that little of the original building remains, although sections of it are believed to date from 1291. Despite the lack of many physical remnants of this period, the city's medieval history is still evident in the street patterns around Liverpool Town Hall, with all seven of the city's original streets remaining in approximately the same position today. Like medieval architecture before it, little remains of Tudor and Elizabethan architecture in Liverpool today. Speke Hall, which is located in the south of the city, is a Tudor manor house that dates from the 16th century. It was completed in 1598, although much of the building dates from much earlier in the century. It is one of the few remaining timber framed Tudor houses in the North of England and it is noted for its Victorian interior. Another large manor house that dates from this period is Croxteth Hall, the ancestral home of the Molyneux family. Started in 1575, only one wing of the building actually dates from this period, with the majority of the house completed during the 18th and 19th centuries. As such the building mixes a variety of different architectural styles including Elizabethan, Queen Anne Style and Georgian. Several buildings from the Stuart era remain in Liverpool today, with the oldest of them, Tuebrook House, dating from 1615. The Ancient Chapel of Toxteth also dates from this period and was likely started around 1618. The building is today grade I listed and still serves its original purpose as a Unitarian Chapel. One of the period's most notable remaining buildings is Woolton Hall, a grade I listed manor house located in the south of the city. Also built for the Molyneux family, the hall is conceived as a Palladian villa and constructed from red sandstone from the local quarry in Woolton. Mainly built in 1716–17, but with additions nearly immediately necessary, Bluecoat Chambers is the oldest surviving building in Liverpool city centre. Designed in the Queen Anne style, following in the tradition of Christopher Wren, it housed the Liverpool Blue Coat School. After the school moved to new premises in 1906, Bluecoat Chamber faced the possibility of being demolished several times. Following war damage in 1941, the reconstructed building was grade I listed in 1952. The expansion of the city into an international sea port from the 17th century onwards and the resulting transatlantic trade, particularly in slaves, brought wealth to Liverpool. Over time, this wealth manifested itself in a number of elegant town houses, many of which are still preserved today. Liverpool Town Hall was built between 1749 and 1754 to a design by John Wood the Elder replacing an earlier town hall nearby. It was significantly extended and altered by James Wyatt from 1785. Its sumptuous interiors are highly regarded examples of late Georgian architecture. The city's stock exchange and financial district are set immediately behind this building, showing the close ties between local government and commerce. The Anglican Church of Our Lady and St Nicholas is Liverpool's parish church. Colloquially known as "the sailors' church", it has existed near the waterfront since 1257. The current building, designed by Thomas Harrison, was begun in 1811 following the castastrophic collapse of the old tower. While Harrison's tower is still original, the main body of the church has been rebuilt following Second World War damage. 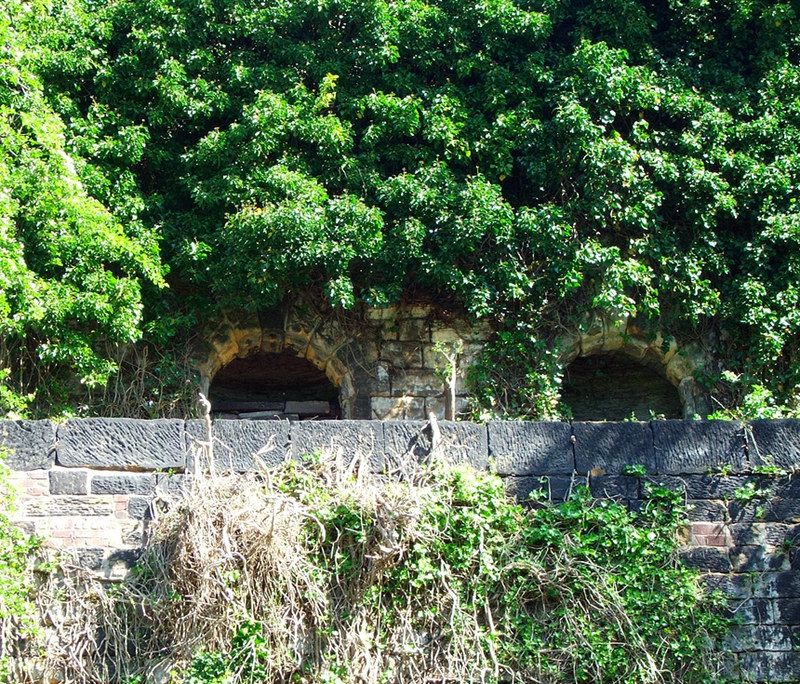 Some of Liverpool's landmarks are mainly known for their oddness, such as the Williamson Tunnels which are architecturally unique as the largest underground folly in the world. Liverpool has a rich tradition of neo-classical architecture running through the Georgian right to the end of the Victorian period. Some prime early examples are the Lyceum by Thomas Harrison (1802), Wellington Rooms by Edmund Aikin (1815–16; a grade II* listed building, now at risk in a "very bad" condition) and The Oratory by John Foster (1829). Also impressive is the grade I listed Bank of England Building built by Charles Robert Cockerell between 1845–1848. The unique ensemble of High Victorian neo-classical buildings around William Brown Street has been labelled the city's "Cultural Quarter". Located here are the William Brown Library and Museum (opened 1860; it now houses the World Museum Liverpool and Liverpool Central Library), the Picton Library by Cornelius Sherlock (1879), and the Walker Art Gallery by Sherlock and H. H. Vale (1877). Not strictly a neo-classical design and much closer to Beaux-Arts architecture, the County Sessions House (1884) next to the Walker fits in with its more playful classical vocabulary. Dominating the area, the magnificent St George's Hall was built 1841–54 to a design by Harvey Lonsdale Elmes and completed by C.R. Cockerell. It served a variety of civic functions, including that of a concert hall and as the city's law courts. Alluding to the ancient Roman SPQR, its doors are inscribed with the letters S.P.Q.L. (initials for the Latin phrase Senatus PopulusQue Liverpudliensis—"the senate and people of Liverpool"). Together with its grand architecture this proclaims the municipal pride and ambition of the city in the mid-19th century. Also nearby are Wellington's Column and the Steble Fountain. The docks are central to Liverpool's history, with the best-known being Albert Dock. Designed by Jesse Hartley and constructed in cast iron, brick and stone, it provides the first enclosed, non-combustible dock warehouse system in the world. Restored in the 1980s, the Albert Dock has the largest collection of Grade I listed buildings in Britain. Part of the old dock complex is now the home to the Merseyside Maritime Museum (an Anchor Point of ERIH, The European Route of Industrial Heritage), the International Slavery Museum and the Tate Liverpool. Other relics of the dock system include the Stanley Dock Tobacco Warehouse, which at the time of its construction in 1901, was the world's largest building in terms of area, and is still the world's largest brick-work building. Peter Ellis was an obscure architect and civil engineer who, nevertheless, designed the pioneering Oriel Chambers (1864) in Water Street as "one of the first office buildings to be clad in glazed curtain-walling" in its rear courtyard. Well ahead of its time, the building was severely criticized in The Builder of 16 June 1866 as a "large agglommeration of protruding plate-glass bubbles", a "vast abortion" without any aesthetic qualities. In all likelihood, however, it was studied by young John Wellborn Root who spent some time in Liverpool to escape the American Civil War just when Ellis' building had been finished. Root took some of Ellis' ideas back to America where he later became an important architect of the Chicago School of Architecture. Oriel Chambers therefore played an important role in the development of the skyscraper. Ellis' only other known building, 16 Cook Street, Liverpool, dates from 1866 and also features a curtain wall in its rear courtyard. Born in Aigburth, Liverpool, architect Alfred Waterhouse established practices in Manchester and later in London. He achieved national fame for a large number of mostly institutional, commercial and educational buildings throughout England. He also designed several structures for his home city, including the University of Liverpool's Victoria Building, completed in 1892. Waterhouse's use of striking red brick and tiles as building materials for its exterior inspired Edgar Allison Peers, a Spanish professor at Liverpool, to coin the term Red Brick University and to then apply it collectively to six recently founded institutions of higher education in some of the major industrial cities of England. Another important Waterhouse complex is the Liverpool Royal Infirmary (1886–92). Victorian Liverpool's notable places of worship include the Greek Orthodox Church of St Nicholas (built in the Neo-Byzantine architecture style), the Gustav Adolf Church (the Swedish Seamen's Church, reminiscent of Nordic styles) and the Welsh Presbyterian Church. Having a Jewish community since the mid-18th century, Liverpool has several synagogues. The grade I listed Princes Road Synagogue in the Moorish Revival style is architecturally the most important. Two further orthodox synagogues are in the Allerton and the Childwall district, where a significant Jewish community resides. Many Liverpool suburbs have Gothic Revival churches, both Church of England and Roman Catholic. These include Church of St Agnes and St Pancras, Toxteth Park by John Loughborough Pearson; Church of Saint John the Baptist by George Frederick Bodley; Church of All Hallows, Allerton by George Enoch Grayson; St Mary's Church, West Derby by George Gilbert Scott; Church of St Margaret of Antioch by George Edmund Street; Church of St Matthew and St James, Mossley Hill by Paley and Austin;St Oswald's Church, Old Swan by Augustus Pugin; Church of St Clare, Liverpool by Leonard Stokes; St Francis Xavier Church by Joseph John Scoles. The Philharmonic Dining Rooms on Hope Street not only have a flamboyant exterior and intricate internal decor but are also noteworthy for their ornate Victorian toilets, which have become a tourist attraction in their own right. Royal Liver Building (1908–11), surmounted by two bronze domes with a Liver Bird (the symbol of Liverpool) on each. Cunard Building (1914–17), the former headquarters of the Cunard shipping company. Port of Liverpool Building (1903–07), the home of the former Mersey Docks and Harbour Board which regulated the city's docks. In front of these buildings at the water's edge are the memorials to the men of the Merchant Navy who sailed out of the port during both world wars. Memorials to the British mariners, Norwegian, Dutch and to the thousands of Chinese seamen who manned Britain's ships cluster together here. Perhaps most interesting is the Chinese memorial to the men forcibly deported from the city after the Second World War and to the families they left behind. Liverpool's wealth as a port city enabled the construction of two enormous cathedrals, both dating from the 20th century. The Anglican Cathedral, which was designed by Sir Giles Gilbert Scott and plays host to the annual Liverpool Shakespeare Festival. It has one of the longest naves, largest organs and heaviest and highest peals of bells in the world. The Roman Catholic Metropolitan Cathedral on Mount Pleasant next to Liverpool Science Park was initially planned to be even larger. 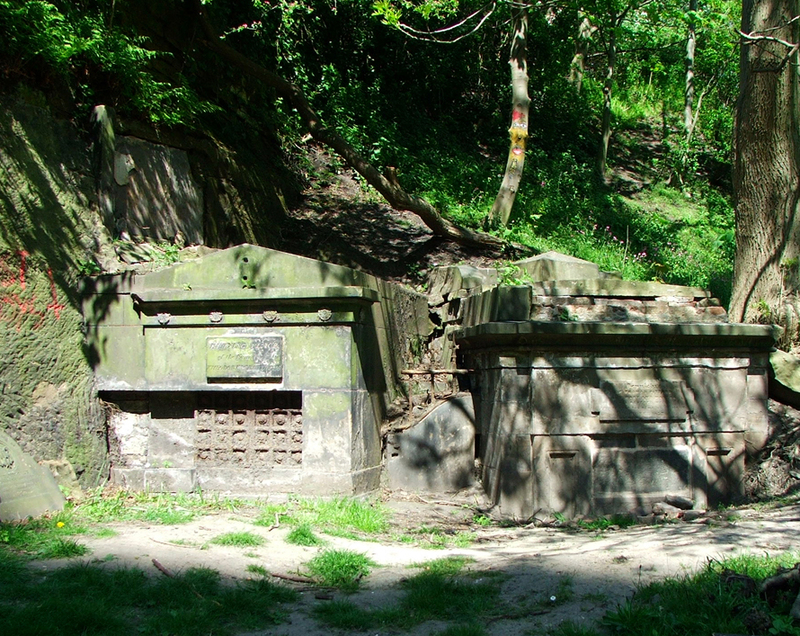 Of Edwin Lutyens' gigantic original design, only the crypt was completed before it was abandoned in favour of a simpler design by Frederick Gibberd. While this is on a smaller scale than the Lutyens' scheme, it still manages to incorporate the largest panel of stained glass in the world. The road running between the two cathedrals is called Hope Street, a coincidence which pleases believers. Metropolitan Cathedral is colloquially also referred to as "Paddy's Wigwam" due to its shape and the vast number of Irishmen who worked on its construction and are living in the area. In the south of the city, the art deco former terminal building of Speke Airport, used from the 1930s to 1986, has been adapted for use as an hotel, and is now the Crowne Plaza Liverpool John Lennon Airport. Speke was the first provincial airport in the UK, opened in 1933, and its restored terminal has been described as "still the most coherent example of the first generation of purpose-built airports remaining in Europe." The terraces from which fans welcomed home the Beatles have been preserved. The Adelphi Hotel on Ranelagh Street is the most famous hotel in Liverpool and was very popular in the days when luxury liners crossed the Atlantic when it was described as the great Cunard liner stuck in the middle of the city. Liverpool was Charles Dickens' favourite city after London, and the Adelphi his favourite hotel in the world. A "fly-on-the-wall" TV documentary series was made on it and its staff. On Renshaw Street there is the new alternative shopping centre Grand Central Hall which has not only fine external architecture but also has much to offer inside, such as the metalwork and ceiling decoration of the ground floor and the fantastic domed ceiling of Roscoe Hall. It was originally built in 1905, under the guidance of the Methodist Church, as a 2,000-seat cinema. The original organ of Roscoe Hall still remains and is a listed item itself, although recent shop additions to the hall have obscured the view somewhat. Radio City Tower (also known as St. John's Beacon) is a radio and observation tower built in 1969 and opened by Queen Elizabeth II. Standing 452 feet (138 metres) tall, it was the tallest free-standing structure in Liverpool for decades. The Atlantic Tower Hotel, situated on Chapel Street next to Saint Nicholas' Church and near Pier Head, opened in 1972 and was designed to resemble the prow of a ship to reflect Liverpool's maritime history. The largest of Liverpool's three mosques is the Al-Rahma mosque in the Toxteth area of the city. Liverpool's architectural schemes at the beginning of the 21st century are dominated by the city's bid to become the European Capital of Culture in 2008. This ambition led to its listing as a UNESCO World Heritage Site in 2004 and also to plans for redevelopment of Mann Island, the area between Albert Dock and Pier Head. Beating off illustrious competitors like Richard Rogers, Norman Foster and Edward Cullinan, in 2002, Will Alsop won the so-called Fourth Grace competition for the site and received the go-ahead with his project The Cloud. By 2004, however, the project was scrapped and alternatives sought. Eventually, the waterfront position in front of the Cunard Building was taken by the Pier Head Ferry Terminal which was the winner of the 2009 Carbuncle Cup for "the ugliest building in the United Kingdom completed in the last 12 months". The Museum of Liverpool by Danish architects 3XN took another waterfront position next to the Port of Liverpool Building and opened in 2011, while Broadway Malyan filled the Fourth Grace site with their banal Mann Island Buildings (2008–12). Both projects were also shortlisted for the Carbuncle Cup in 2011 and 2012 respectively. The Mann Island Buildings also gave concern regarding some protected views onto the Three Graces. Other recent buildings in the dock areas include the Echo Arena Liverpool and BT Convention Centre which officially opened on 12 January 2008 in King's Dock immediately south of Albert Dock, and West Tower (2005–07), north-east of Pier Head, which at 40 storeys is currently Liverpool's tallest building, but soon to be dwarfed by the planned skyscrapers of Liverpool Waters. Situated in the northern docks, the Liverpool Waters redeveloment led to Liverpool's recently acquired status of World Heritage Site coming under scrutiny. Consequently, in 2012, Liverpool - Maritime Mercantile City was put on UNESCO's List of World Heritage in Danger. In recent years a number of creative architectural practices have been responsible for a number of innovative projects to revitalise the unused architectural fabric of the city. Notable, award-winning, projects include the Greenland Street Gallery for the A Foundation and the Toxteth TV building. Both of these projects were by Liverpool design practice Union North. Victoria Street, Imperial Buildings, Midland Railway Goods Offices and General Post Office to the left, Bank of Liverpool to the right. English Heritage National Register of Historic Parks describes Merseyside’s Victorian Parks as collectively the "most important in the country" The city of Liverpool has ten listed parks and cemeteries, including two Grade I and five Grade II*, more than any other English city apart from London. Liverpool has a long tradition of academic analysis in the field of architecture being home to both the first School of Architecture and the first University Department of Civic Design in the United Kingdom. Renowned architects are well represented in Liverpool, including Peter Ellis, John Wood, the Elder of Bath (commissioned in 1749 to design the original Public Exchange which later became the Town Hall), Thomas 'Greek' Harrison, James Wyatt, Harvey Lonsdale Elmes, Philip Hardwick, Jesse Hartley (Dock engineer and architect of the Albert Dock and Stanley Dock), Charles Cockerell, Thomas Rickman, John Foster, Augustus Welby Northmore Pugin, J.J. Scholes, Sir Joseph Paxton, Sir Giles Gilbert Scott, J.K. Colling, J.A. Picton, George Edmund Street, John Loughborough Pearson, E.W. Pugin, E.R. Robson, Edmund Kirby, Sir Edwin Lutyens, Sir Frederick Gibberd, Alfred Waterhouse (who was born in Aigburth), W.D. Caroe, Leonard Stokes, Norman Shaw, James Francis Doyle, Walter Aubrey Thomas (architect of the iconic Royal Liver Building on the Liverpool waterfront), Gerald de Courcy Fraser, Charles Reilly, the Audsley brothers and Herbert Rowse (architect of Martins Bank, Queensway Tunnel and India Buildings). "One of the most remarkable buildings of its date in Europe." Nikolaus Pevsner, South Lancashire (The Buildings of England), 1969, p. 177. "almost unbelievably ahead of its time", Nikolaus Pevsner, Pioneers of Modern Design, 1949. Structures of particular architectural note which have been demolished or removed include the Custom House*, Overhead Railway, Goree Warehouses*, Sailors' Home, Central Station, the upper floors of the General Post Office* and the facade of the Cotton Exchange. note: * indicates buildings which suffered bomb-damage during the Second World War, but, in the opinion of some, could have been restored. In the 1920s, Liverpool's Catholic Archdiocese conceived a truly Brobdingnagian cathedral – larger than St Peter's, Rome – and commissioned the architect Edwin Lutyens to make the conception a reality. It would have taken 200 years to complete. The Great Depression, the Second World War and Liverpool's subsequent economic decline meant it was never realised – only the crypt was completed – and in the 1960s Frederick Gibberd produced a different, cheap, yet innovative creation which sits atop Lutyen's crypt - Liverpool Metropolitan Cathedral. Many fine buildings in Liverpool have sunk into decay, yet have not quite given up the unequal struggle against Nature, or are even being restored. 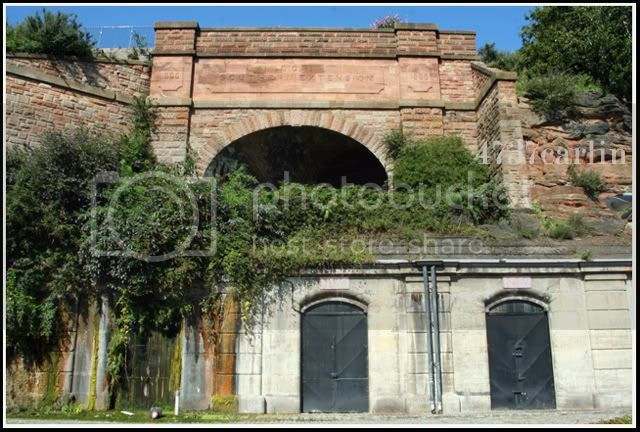 Several authors have noted the Piranesian quality of such sites, which include the Williamson Tunnels, St. Andrew's Church, Dingle railway station, Lower Duke Street, St. James Cemetery and the Edge Hill cutting and tunnels. ^ Heritage at Risk register 2011 North West, pp. 66-69. ^ "Liverpool – Maritime Mercantile City". Archived from the original on 30 May 2008. Retrieved 26 May 2008. ^ a b Nomination of Liverpool - Maritime Mercantile City for Inscription on the World Heritage List, accessed 23/3/2013 (please note: this is a 450 page long pdf file!). ^ "The Architecture of Croxteth Hall" (PDF). Liverpool City Council. Archived from the original (PDF) on 11 June 2011. Retrieved 8 February 2010. ^ Heritage at Risk register 2011 North West, pp. 66. ^ Hughes, Quentin (1999). Liverpool: City of Architecture. Bluecoat Press. ^ Q. Hughes, Seaport, Bluecoat Press, 1993, p.62. ^ Peers, Edgar Allison (1943). Redbrick University. ^ "Liverpool's Jewish heritage". Archived from the original on 6 February 2007. Retrieved 13 May 2007. ^ Deeds documenting history of Liverpool’s Three Graces discovered by antique dealer, Liverpool Echo, Jul 25 2011. ^ "Liverpool and its Chinese Seamen". Archived from the original on 31 May 2008. Retrieved 28 May 2008. ^ Heritage at Risk register 2011 North West, pp. 67. ^ [Alan Weston, http://www.liverpoolecho.co.uk/liverpool-news/local-news/2009/08/27/liverpool-pier-head-ferry-terminal-voted-britain-s-ugliest-building-100252-24548157/ Liverpool Pier Head Ferry Terminal voted Britain's ugliest building], Liverpool Echo, Aug 27 2009. ^ In place of Grace, bdonline 2006 issue 09. ^ Ben Schofield, Liverpool’s Three Graces views blocked by Mann Island build, Liverpool Echo, Apr 26 2010. ^ Liverpool – Maritime Mercantile City, World Heritage in Danger. ^ "Dr. Peter Brown, chair, Merseyside Civic Society" (PDF). Retrieved 12 January 2012. ^ Couch, Chris (2002). Design Culture in Liverpool: 1880–1914. Liverpool University Press. p. 9. ^ Dolby, George (1887). Charles Dickens as I knew him. Routledge. ISBN 978-0-415-22233-4. ^ Tytler, Sarah (1885). Life of Her Most Gracious Majesty the Queen, Vol II. ^ Coles, Gladys Mary (1997). Both sides of the river:Merseyside in poetry and prose. Headland Publications. p. 71. ^ Coles, Gladys Mary (1997). Both sides of the river:Merseyside in poetry and prose. Headland Publications. p. 234. ^ Forwood, William Bower (1910). Recollections of a busy life. Liverpool: Henry Young & Sons. ^ "Streets of Liverpool Blog". Streetsofliverpool.co.uk. 1 March 2011. Retrieved 12 January 2012. ^ Postal, British (15 October 2010). "Flickr photo". Flickr.com. Retrieved 12 January 2012. ^ "St. Andrew's Church". Liverpoolviews.co.uk. Retrieved 12 January 2012. ^ "Report on the Pyramid in St Andrew's Scotch Church Liverpool". Ancient-egypt.co.uk. 31 August 2008. Retrieved 13 December 2011. ^ "Urbex Forums". Retrieved 12 January 2012. ^ "Urbex Forums". Urbex Forums. 25 May 2008. Retrieved 12 January 2012. ^ "St. James's Cemetery". Archived from the original on 17 February 2012. Retrieved 12 January 2012. ^ "Subterranea Britannica". Subbrit.org.uk. 4 January 2011. Retrieved 12 January 2012. Wikimedia Commons has media related to Architecture of Liverpool.